When users are reading web content, most of them are like fast browsing and only when there is something catch their eyes, then they will literally read it word by word; Good web design is to help users more easily and quickly browse the web content. This is an information explosion time, users rarely have the time to carefully read the content, they prefer the fast browsing and pictures, they only read the first sentence and bold font words to catch the main information. So in this new era, whether it is to design websites or mobile products, the most important point is that to focus on the information-focus, grasp the user attention, to catch the rhythm of the interface content. Users have their own habits, these habits are their most comfortable ways, but may not be the most efficient or most reasonable ways. We should follow their way when we design. To think about how to let users feel the most comfortable, safe, happy when they use the product rather than the most efficient, or even set quantitative standards to require this efficiency, because of the forced requirements tend to be counterproductive. Now, the user has become more accustomed to using the scroll down function to get more information, although the top position of the page is the most important, but you really want to squeeze all the content at the top of the page? Really? Especially, a new era of intelligent machines led by the iPhone, you can see more content with your hands to swipe up and down, which has become a user-friendly and familiar mode of operation. Do not tangle to put all the content on top, but the designer should remember that the top position is very important. In general, the exposure of first screen is much larger than the second screen and later. For example, the real data of my products shows that the exposure of second screen and the subsequent screens is less than 10% of the first screen. Therefore, in a new era of design, we need to focus on placing key information in the most important position, placing the secondary information in the less important position, irrelevant information should not be placed. If the designer is only designing it to make the site look good, then all the interactive designers will lose their jobs. And even visual design is now considering of the brand, user emotion, the dynamic display and interaction for the entire product, So I do not think any designer is designing a website just to look good. I've done some kind of public projects, but I'm not responsible for designing a product or servicing for people with disabilities. I'm ashamed to not have a chance to design something. 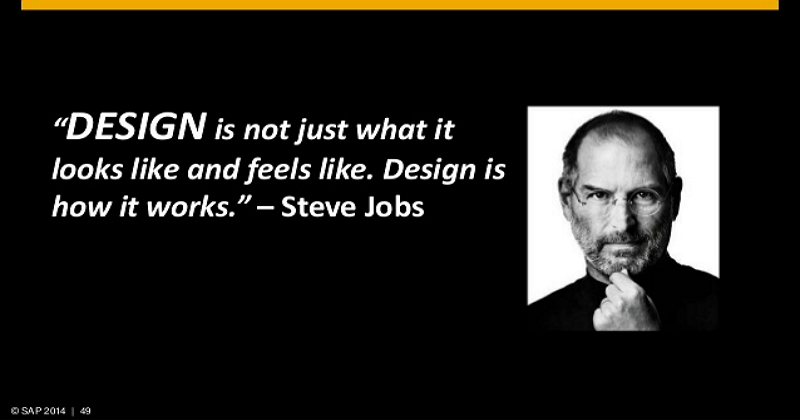 “Many designers would rather attempt reinventing the wheel than to adapt conventional user interface design patterns. It should be considered, however, that such design conventions are well-working because they’ve already been introduced and tested for usability.” The designers need to have enough confidence to design a innovative product. Don’t doubt about this assumption, many design executives will directly ask the designer to design a product unlike others. But what we should remember is that when we are trying to design a innovative product, we should solve the basic problem with commercial value, respect for the design industry and the user's habit, not just told to innovate by your boss. The redesign must aim to solving the problem, making a commercial value and be driven by new technology instead of making a good looking website, using the results of large data to analyze the redesign. To provide the best choice, but not provide too many best choices. Hick’s law states that the time it takes to make a decision increases with the number and complexity of choices. And as the decision time increases, the user experience suffers. Many of my friends asked me why there is someone using this product, why this product not be eliminated, why this product can make money, totally unimaginable. In fact, this is only because you are not the target user. Even if you're designing a music product, and you're a veteran music user also, you can not regard yourself as all target audience, because you're just one of them. User experience is still a new filed in this industry and it gets more and more intentions, but not everyone can completely understand this concept, so here comes some misconceptions, hope these concept will get more clearly with the help of all the designers in the future. Are you an really qualified UX designer? This article will give you some deep thoughts: I’m not a UX Designer, and neither are you. 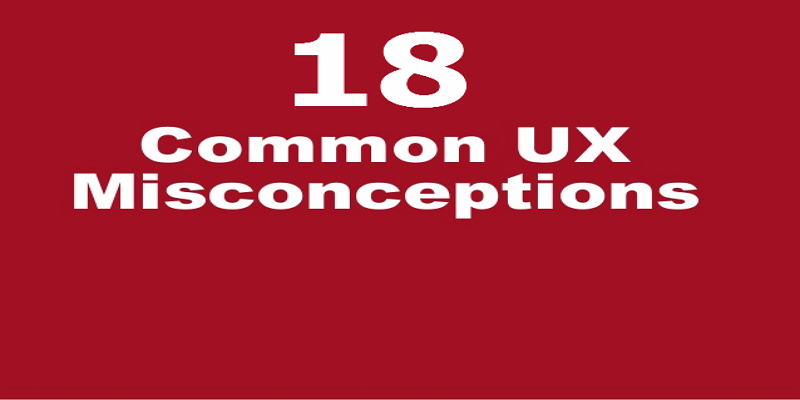 You may not digest 18 misconceptions about user experience at one time, we will wrap up another 9 up in the next post. 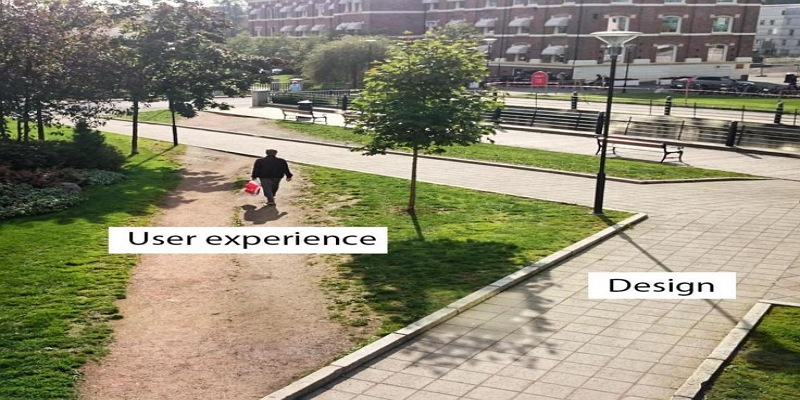 Have you ever read some misconceptions about user experience? If you do, write your opinion below in the comment area. Share with us, thanks.